"The one book President Trump should probably read." "Legislative sausage-making that you do, in fact, want to see. A fascinating behind-the-scenes look." "These cases are not only insightful, they are also beautifully readableactual page-turners. Highly recommended." "A strong rebuttal to the cynics who argue that Congress can't get the job done." "A ray of hope at a time of gloom and doom about poisonous partisanship. When the big players want to work across the aisle to get something done in the national interest, they still can." 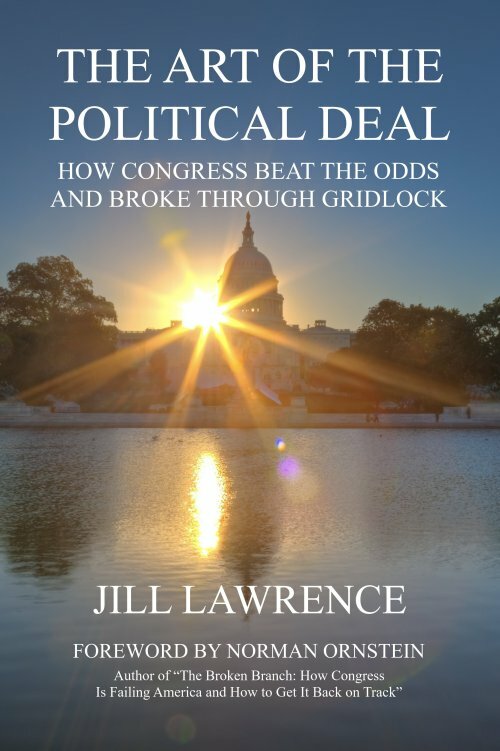 "Jill Lawrence, one of America's best congressional reporters, shows that Congress is still capable of breaking the policy gridlock and stifling polarization that plague our democracythat compromise, pragmatism and bipartisanship are not dead on Capitol Hill." "A great little book on how deals get done even in a do-nothing Congress." "Highly recommended to anyone who wants to understand how Capitol Hill works. Jill Lawrence's collection of case studies illustrates, in clearly written and often fascinating detail, how some of the best-known figures in Congress, such as Paul Ryan and Bernie Sanders, worked with a variety of lesser-known lawmakers to achieve the compromises that made the passage of important bills possible."